Posted on February 21, 2018 at 7:52 am. 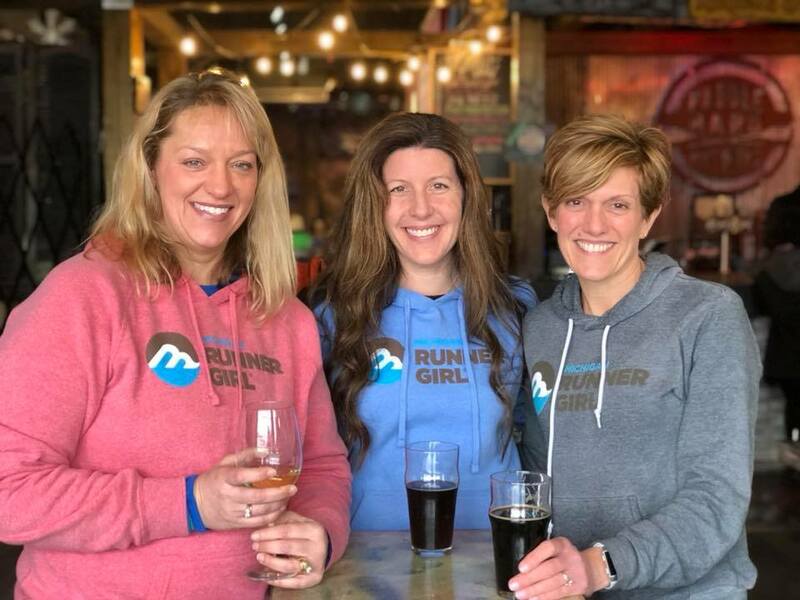 If you’ve been eyeing that super-soft MRG hoodie, or you’ve long wanted to get your own long-sleeve performance tee (your best running friend is always wearing that sweet running top, the one with the cool thumbholes), now is the time to head over to the Michigan Runner Girl online store for great savings. 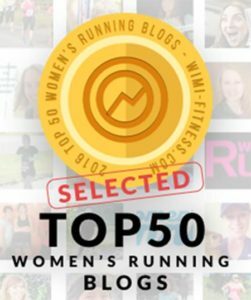 Also part of this sale: all-new Michigan Runner Girl coffee (or tea!) mugs as well as handcrafted shoelace tags, tank tops, stickers, and more. Use the code SUNSHINE at check-out to get your 25% savings. Ann, me, and Pam at last month’s first-ever MRG Winter Getaway. 30+ women took part in the two-night girls’ weekend — and many of us wore our MRG gear! This was taken at Paddlehard Brewery in Grayling after our hike at Hartwick Pines State Park. 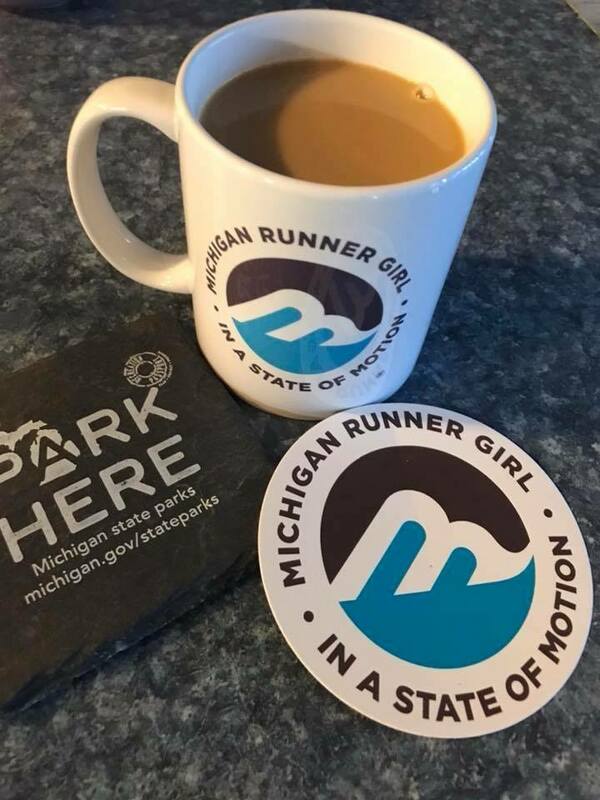 Thanks to Michigan Runner Girl Anya for sharing this cool pic of her new MRG mug. Cheers! And…coming very soon: all-new designs! I’m really looking forward to sharing these with you all! Until then, happy shopping! Use the code SUNSHINE at checkout. Now through this Friday, Feb. 23, take 25% off your online order.